August 22, 1989 Huey Percy Newton, co-founder and leader of the Black Panther Party for Self-Defense, was fatally shot. 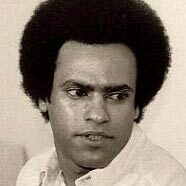 Huey Percy Newton was born February 17, 1942 in Monroe, Louisiana but raised in Oakland, California. In 1966, while at Oakland City College, he and Bobby Seale organized the Black Panther Party for Self-Defense. Seale became chairman while Newton became minister of defense. In 1968, Newton was convicted of voluntary manslaughter for the death of a policeman and sentenced to 2-15 years in prison. In 1970, the California Appellate Court reversed the conviction and ordered a new trial. After two subsequent mistrials, the State of California dropped the case. In 1977, Newton was acquitted of the murder of a prostitute after two trials ended in deadlock. In 1996, “A Huey P. Newton Story” was performed on stage by Roger Guenveur Smith. The one man play was then made into an award winning 2001 film directed by Spike Lee. Several biographies have been published about Newton, including “Seize the Time: The Story of the Black Panther Party and Huey P. Newton” (1970) and “Huey: Spirit of the Panther” (2006). ← August 21st in African American History – James Anderson, Jr.